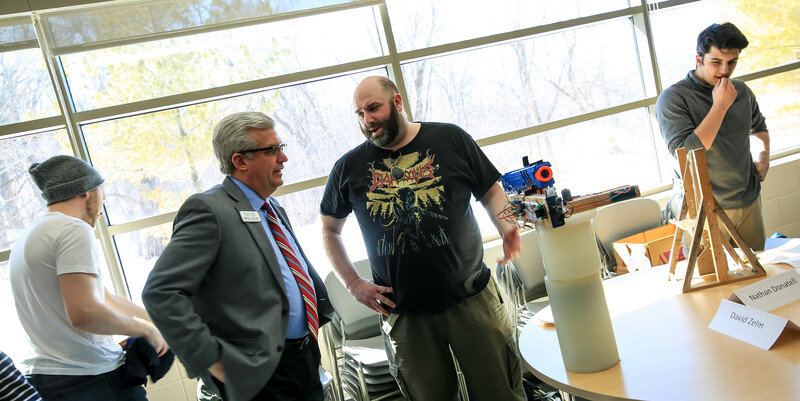 On Thursday, April 19, 2018, students in Introduction to Engineering and Engineering Club at Inver Hills Community College assembled in a Fine Art building classroom for Exploring Engineering, an event that gave them the chance to demonstrate their course projects to visitors and classmates. Why choose Inver for engineering? Joan also noted that completing your freshman and sophomore years at Inver Hills saves you money. You can then transfer your college credits and enroll at a four-year school as a junior. Traditionally, engineering as a field has six major branches with numerous subdisciplines as well as at least 40 degree offerings. Working directly with Inver engineering faculty and not just university teaching assistants (TAs) gives you the chance to explore what you really want to do with your engineering degree. By earning your A.S. in Engineering Fundamentals at Inver Hills, you will be prepared for transfer to a four-year college or university to complete your bachelor’s degree. Your two-year foundation will allow you to select your specialization from a wide range of engineering branches. The program covers courses typically offered in freshman and sophomore years of an accredited engineering curriculum in the United States. As an Inver engineering student, you should stay informed regarding the rules and requirements of the engineering department at the four-year college or university where you plan to transfer. Visit Engineering to learn more. Exploring Engineering 2018 on Flickr. Heather Rother,23, is originally from Hastings, Minnesota. Heather graduated from Hastings High School, Class of 2013. She started out a PSEO student at Inver and went on to earn her Associate of Arts (A.A.) and A.S. in Engineering Fundamentals. Heather was an active member of Engineering Club. She worked while going to school as a part-time cashier at a Dollar Tree location. 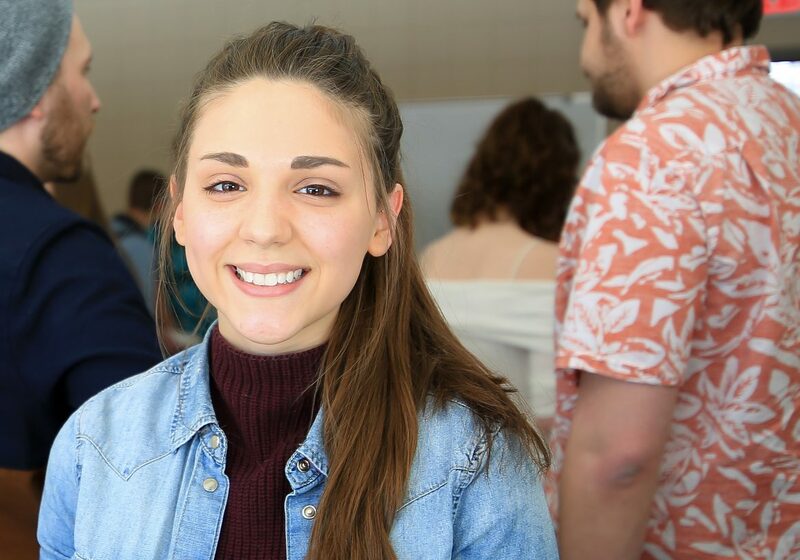 In fall semester 2018, Heather is transferring to the University of Minnesota College of Science and Engineering to major in Bioproducts and Biosystems Engineering. She has been accepted into the program and is excited to be part of BBE. For her Exploring Engineering project, Heather demonstrated an Arduino Controlled Catapult (see below for details). She resides in Hastings and has two older siblings. In her free time, Heather enjoys making art, reading and hula-hooping. I knew I wanted to do something that involved science, but was unsure of what career path to follow, so I just focused on finishing my associate degree after I graduated high school. I eventually settled on the idea of going into chemical engineering, which lead me to get in touch with Joan Carter, head of the Engineering program here at Inver Hills. After I started taking various engineering courses and required math and science courses for my intended major, I learned about the Bioproducts and Biosystems Engineering program at the University of Minnesota and fell in love with it. The program is similar to chemical engineering, but emphasizes more on the environmental aspects of engineering, which is where my main focus is. I plan to go straight into the industry once I graduate with my bachelor’s degree, but I am open to going back for a master’s degree or even a Ph.D.
My current career goals are to gain hands-on experience through internships as I finish my studies and find a job in my field once I graduate. From there, I intend to take opportunities as they come. I will continue to grow and learn from any job experience and be able to make more precise decisions regarding what I want out of my career. How would you describe your Arduino Controlled Catapult project? My Arduino Controlled Catapult project was made for my Intro to Engineering class. The project required us to implement something we learned throughout the semester, so I chose to program an Arduino to control a servo that would, in turn, control my catapult. The catapult is built from wood and other materials. I used the open-source Arduino Software (IDE) to program a push button and a force-sensitive resistor to rotate a servo that flings the bucket attached to the arm of the catapult. Bring the arm down under the servo. Press the push button that rotates the servo 90 degrees to lock the arm into place. Push the force sensor to rotate the servo back 90 degrees to release and fling the bucket. How would you describe your Tiny Whoovs project? This project was helmed by Sam Westlake and David Schallock for the Engineering Club. Both Sam and David taught a group of us how to use Fusion 360, free 3D CAD/CAM design software for students. Using this program, we had the freedom to design our own tiny whoovs under specific guidelines for sizing. After completing the design, we were able to upload them to the pack to be 3D printed. Then we assembled them using the kits that were bought and calibrated the controllers. It was a very fun project to be a part of; I had never used any sort of 3D CAD/CAM design software before this project or before taking the Intro to Engineering class this semester. What do you like best about chemical engineering? What interests me about this degree is that there is the practice of sustainable chemistry dedicated to designing and creating ways to minimize hazardous substances and waste to better the environment. The idea of working with a team of peers to apply innovative scientific solutions to our real-world environmental problems excites me and is something I am eager to work on. What do you like best about bioproducts and biosystems engineering? Bioproducts and biosystems engineering is very exciting to me because the field focuses on the subjects that I am passionate about. I would like to be a positive influence on the world and the environment by aiding in the design and development of bioprocesses and renewable bio-resources for a sustainable future. The program and career ensure innovation and contribute to global needs. Heather Rother will transfer to the U of M Twin Cities in the fall to study Chemical Engineering. She is also interested in the U of M’s Bioproducts and Biosystems Engineering program. 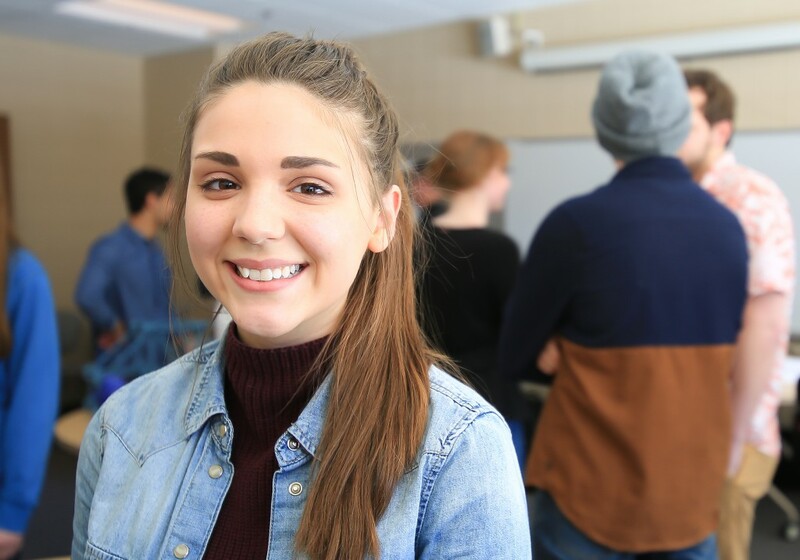 Heather took Introduction to Engineering, Thermodynamics, Statics, and Mechanics of Materials largely as electives to fill out her schedule to be a full-time student. Heather is a talented student and wonderful to have in class. In particular, she was the overall high scorer in her Thermodynamics course, scoring high As on all her work. She has a cheerful disposition that lightens any classroom. The U of M Chem E program is lucky to have her. Heather’s Intro to Engineering project is an Arduino Controlled Catapult. She also worked with a group of students in Engineering Club to begin making Tiny Whoovs, which are 3D-printed, palm-sized hovercrafts. 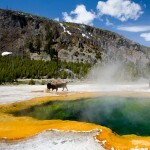 The most exciting thing you’ve ever done: Having gone hiking in Yellowstone National Park. One thing you most want to accomplish in life: I wish to make a positive impact on the world by working towards bettering the environment for generations to come. Most precious material possession: My books. Dream occupation: Something that allows me to work on bio-based products, alternative energy sources or anything related to my intended field of study. Most important issue or problem facing humankind: I would say that our most vital concern is for the environment, when it comes to important issues facing humankind. Pollution, global warming, waste disposal, natural resource depletion, loss of biodiversity, ocean acidification and so much more. These are all examples of real-life environmental issues we are currently facing that can prove disastrous if humankind does nothing to combat them. Originally from Apple Valley, Minnesota, Andy McCann, 25, graduated from Sobriety High School, Class of 2011. Andy earned his A.S. in Engineering Fundamentals at Inver and also served as vice president of Engineering Club. Andy’s previous college experience includes one semester at Normandale Community College in 2011. He worked in various temp and industrial jobs, which led him to the decision to return to school. He worked two part-time jobs while attending Inver, a peer tutor here in the Learning Center and a deli clerk/cook at Lunds and Byerlys in Eagan. Andy is transferring to the University of Minnesota College of Science and Engineering to major in Civil Engineering in fall semester 2018. He resides in Savage, Minnesota, and has two wonderful, loving parents and a younger sister. In his free time, Andy plays in on a recreational hockey league team with his father. 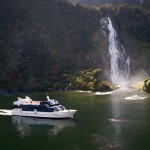 He lovesto travel and explore new places and cultures. He also likes EDM music shows and festivals. I’ve always been strong in math and science, so engineering felt like a logical choice of major. In my Orientation to Engineering course I learned a lot more about the specific disciplines of engineering and found that civil was the most appealing to me. As I’ve progressed in my education, I have found that I genuinely enjoy the engineering courses I’ve taken, especially the basic structural courses like Statics and Mechanics of Materials. I’ve gained a whole new appreciation for the infrastructure around me; I haven’t been able look at buildings or roadways the same way since—and I love it. So, naturally, I believe I made the right career choice for myself! I’m planning on continuing my education in pursuit of an M.S. in Civil Engineering, as well as obtaining my Professional Engineers license. Like most structural engineering students, my long-term goal is to be able to work on large, challenging projects like U.S. Bank Stadium or the new St. Croix River Bridge. But in general, I want to use my strengths to do what I can to make the world a better place! How would you describe your MicroStation CAD project? The MicroStation project has been a great experience, and is also the reason I can’t look at roads anymore without pondering on how and why they were designed the way they are. To be able to gain hands-on experience with the industry tools behind modern-day road design at this level of my education has been invaluable. The small, personal group setting has also allowed me to learn much more than just the MicroStation software. Through discussion with our industry mentor, Tom Jensen, I’ve been able to learn about things like what civil companies are looking for in a prospective employee, good focus points on resumes, and valuable interview tips and strategies. I can’t thank Joan and Tom enough for taking the time to organize this experience for us! What do you like best about civil engineering? I’ve always found myself entranced by large structures. I could stare and explore buildings like the One World Trade Center, Notre Dame or St. Paul’s Cathedral for hours on end. Even wandering through downtown Minneapolis or St. Paul, I tend to trip over curbs because I’m gazing longingly up at all the buildings around me instead of looking where I’m walking. My favorite part about civil engineering is being able to step back (or into) and admire the results of what started as just an idea for a plot of land. There are so many working parts and people that go into the design, construction, maintenance and purpose of a structure. I love that once everything comes together, everyone can physically see and touch the final result, it becomes an integral part of the area. 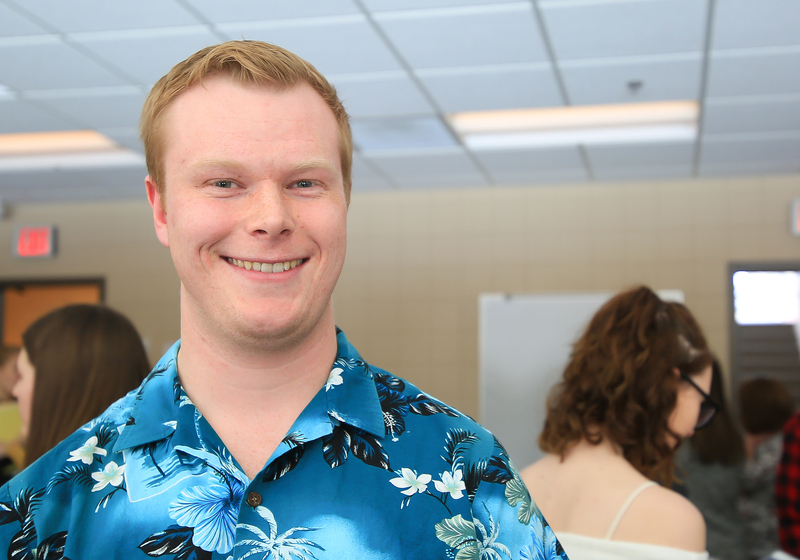 Andy McCann will transfer to the U of M Twin Cities to study Civil Engineering in the fall. 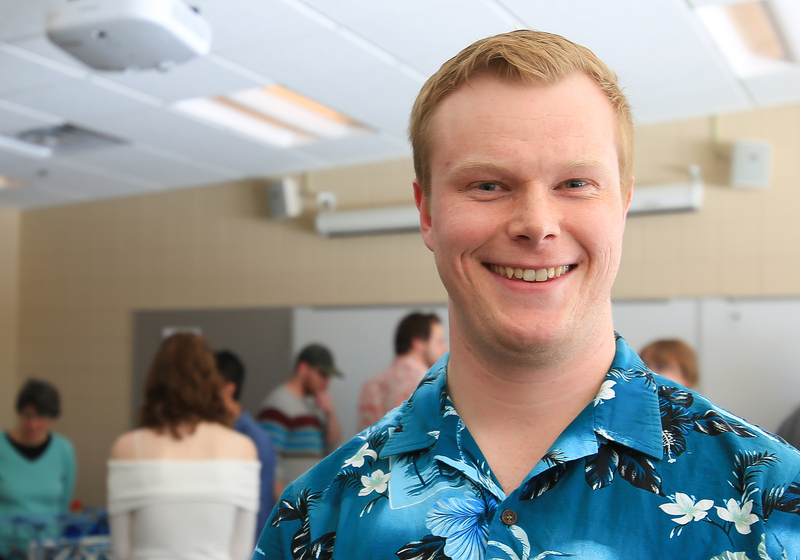 Andy is prepared to take junior-level courses, having completed the engineering, math and sciences courses offered at Inver Hills. Andy worked for a couple years after high school before deciding to go to college. It had been some time since he had math and therefore, as is common, he needed to refresh his algebra and trigonometry before beginning calculus. He is an excellent example of focusing on where you are going and not letting where you have been deter you from your goals. Andy has a keen understanding of the engineering material. 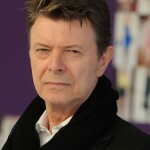 He has displayed his mastery of the material by having high scores on nearly every engineering final exam he has taken. He is a terrific person to have in class. He is helpful to other students, both in his role as a tutor in the learning center, and in class. Andy participated in an Engineering Club project with four other students, working with Tom Jensen of Alliant Engineering to learn Microstation, a computer-aided design (CAD) program that is required by the Minnesota Department of Transportation (MN DOT). The most exciting thing you’ve ever done: Spent a month backpacking through northern Europe with a friend. One thing you most want to accomplish in life: Create something that will continue to benefit society long after I’m gone. Most precious material possession: I’d have to say my cell phone, it’s truly an incredible tool. 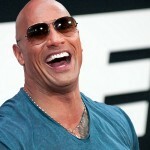 Person you would most like to meet: Dwayne ‘The Rock’ Johnson—he seems like a super-fun dude to be around! Skill you would most like to learn and master: Language—I’d love to master as many languages as I can.